JUNE 20th 2012: How is Technology Changing Music? With so much improvement occuring rapidly in technology and software many industries are struggling to keep up. The same cannot be said for the music industry, or can it? 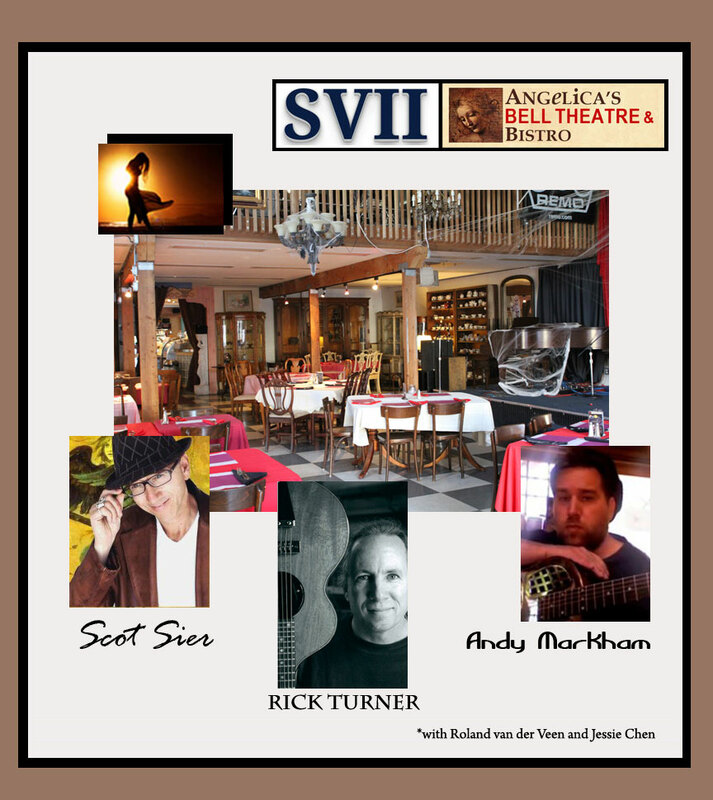 SVII brings together a panel of five individuals each with their own unique experiences in the worlds of music, invention and technology to discuss the future relationship between technology and music. century ago, technology brought recorded music to everyone. Since then, it has put your record collection in your pocket and a recording studio in your home. The internet changes the way music is marketed and disrupts old business models. But in the next decade, there is a still bigger change coming. The confluence of cloud services and mobile phones and other technologies are enabling new ways to create music, share it, learn and practice, rehearse, compose, collaborate and perform. Join us for an interactive discussion of the future of music and the direction of technology for musical expression! Andy Markham: Mobile Product Manager at Mindjet, and founder of the band “The Cat Mary”, whose style is best known as an “alternative country rock with a literary touch.” His fascinating career spans the spectrum from instructor for English literature at John Hopkins University, musician (guitar, mandolin, banjo, vocals) and lyricist, to expert of digital product development. Scot Sier: Along with founding Budda Amplification, a global leader in musical instrument amplification, Scot Sier is a songwriter, performer, producer, music publisher and new digital media strategist. Working with the latest music recording and social sharing tools, Scot is carving a niche in the music community. He is a featured artist on Soundcloud.com and regularly performs in and around the Bay area. In addition, Scot is an innovative trendsetter in the music world instrumental in bringing back the warm analog sound of tube amplifiers, and the renaissance of boutique artisan low power-highsound quality guitar amplifiers. Rick Turner: Rick Turner is a luthier, engineer and inventor who has designed, built and repaired instruments for some of the biggest names in music. He is co-founder of Alembic, Inc., where his work included the design of custom speaker cabinets to eliminate standing waves in the Grateful Dead’s famous “Wall of Sound” PA system. Throughout his career, Rick has supplied guitars to some of the most defining artists of our century including: The Grateful Dead; Jefferson Airplane; Crosby, Stills, Nash & Young; The Allman Brothers; The Mother of Invention; The Who; Led Zeppelin; and Fleetwood Mac. Today he designs and builds guitars and basses at his own company, Renaissance Guitars. Rick’s instruments have been exhibits at the Smithsonian, The Museum of Making Music, and the Museum of Arts and Design. Eli Turner: At age 16, Eli is an enthusiastic young musician, and is currently designing instruments for some of his musical heroes: Bela Fleck, Henry Kaiser, and Martin Simpson. He is very much at the forefront of modern instrument design using SolidWorks and PhotoShop to render his ideas before a single piece of wood, metal, or composite is cut or formed, and is learning CNC (Computer Numerical Control) programming both at his high school and with his dad. In addition, Elias has also distinguished himself by receiving the Excellence in Physics award from his high school in Encinitas, California, and authored and his first book, published by the National Marfan Foundation entitled Marfan Does Not Mean Martian. Rob has been at Smule since the launch of their first product “Sonic Lighter” in 2008 and currently manages the design and production of all the musical content that flows into each app on the Smule Sonic Network (songs, data formats, processes). On any given day he’s arranging Justin Bieber songs for the Smule Ocarina, designing protocols for streaming audio and control data from our network, and prototyping new musical interfaces. He is also finishing up his PhD in Music and Technology at Stanford’s CCRMA (Center for Computer Research in Music and Acoustics) where his focus is on building interactive networked musical systems and performing across networks, both with traditional instruments and digital instruments. Rob has been a performing musician his entire life (classically trained piano, jazz saxophone, rock guitar), and studied music and technology at Dartmouth College and The Peabody Conservatory before migrating out here to Stanford. * Read about our slice of Europe in this recent New York Times article about Redwood City. ← MAY 2nd 2012: Rapid Iteration – Indulge Your Five Senses! Hate to miss this one! Hope you can get some good audio capture.